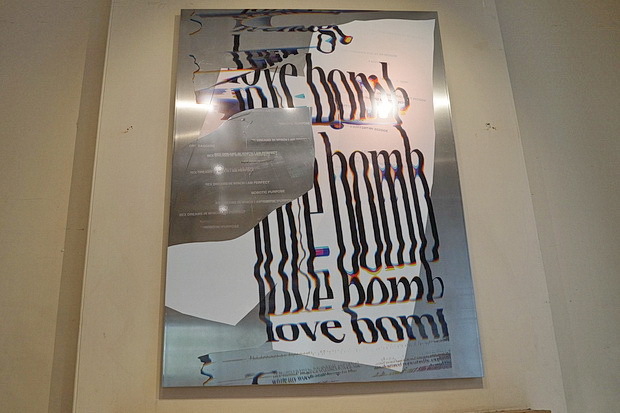 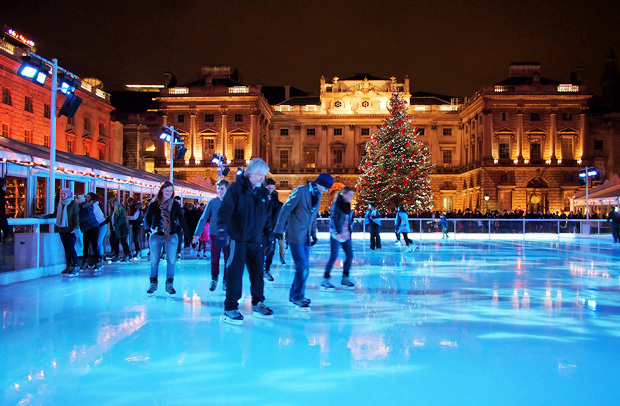 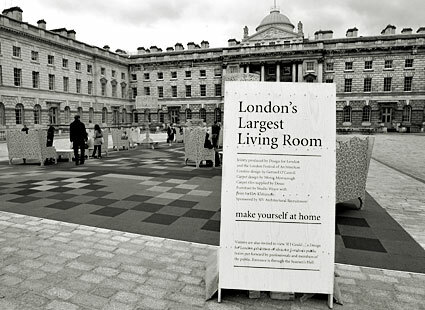 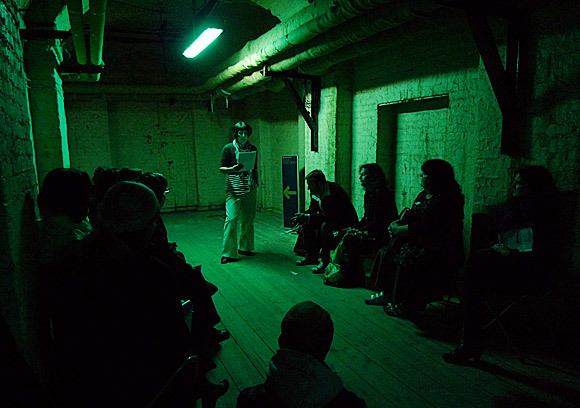 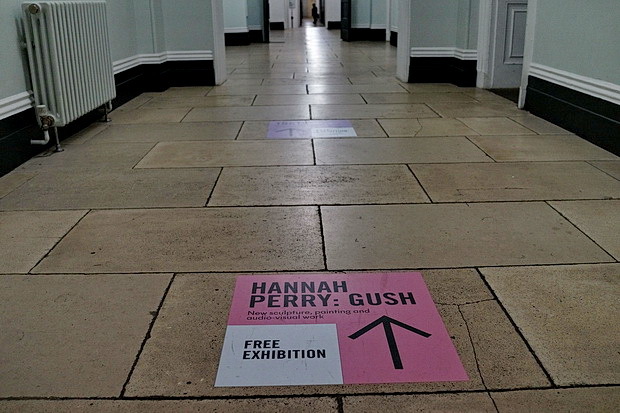 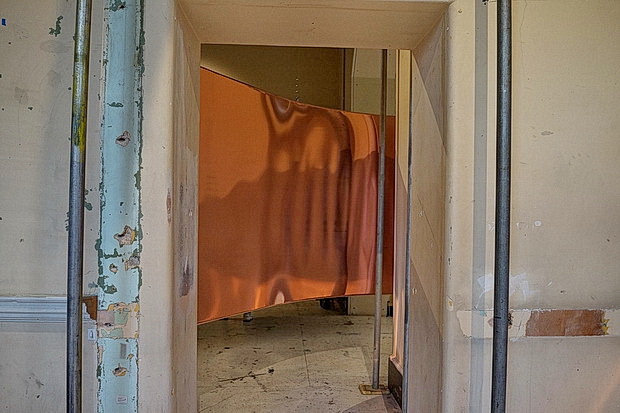 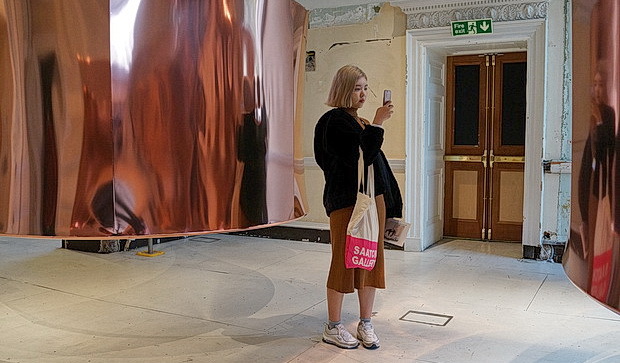 Currently on display in the New Wing at Somerset House in central London is an exhibition by the British artist Hannah Perry. 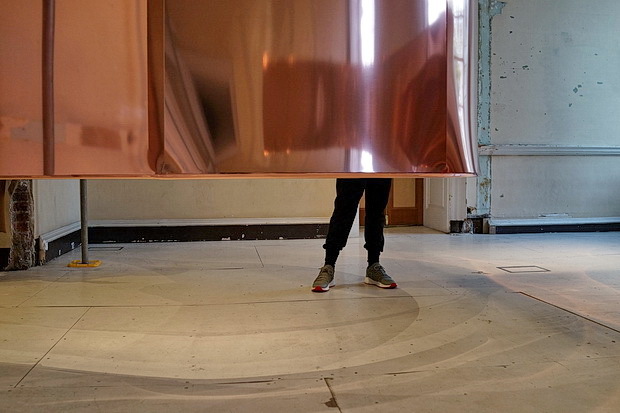 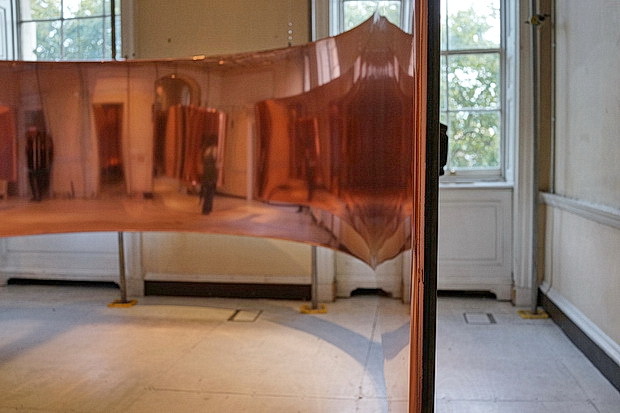 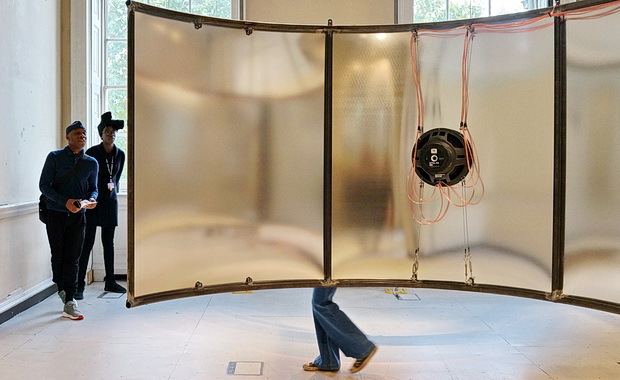 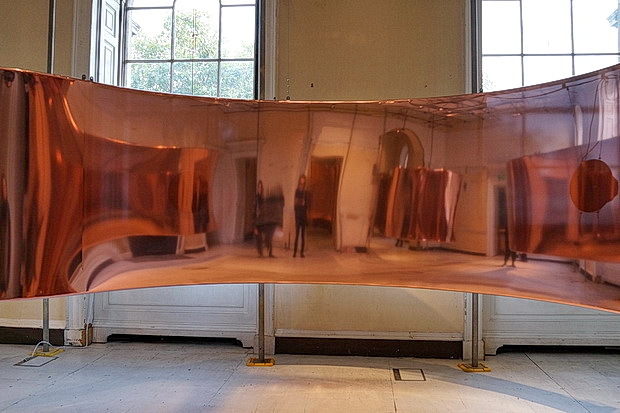 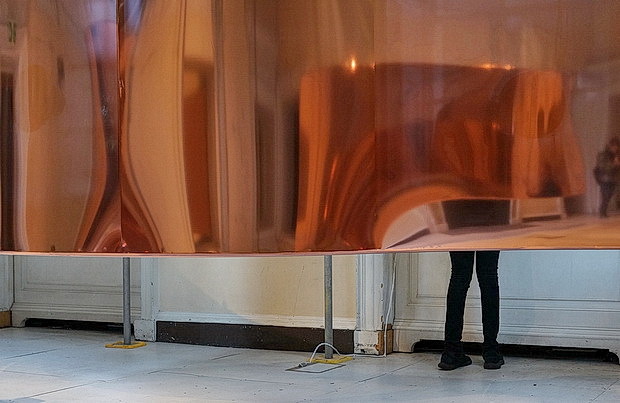 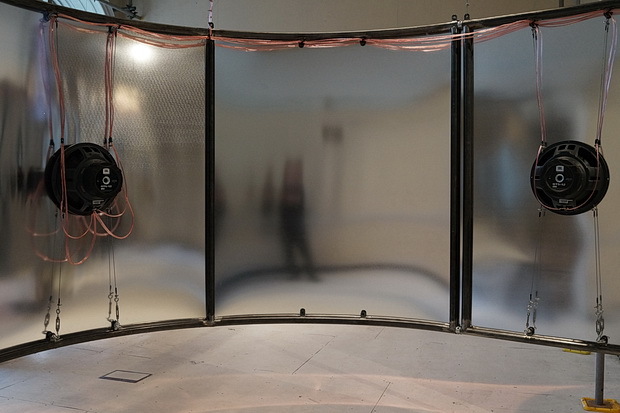 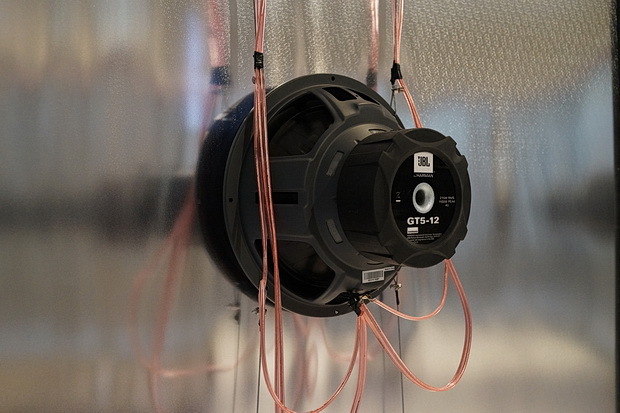 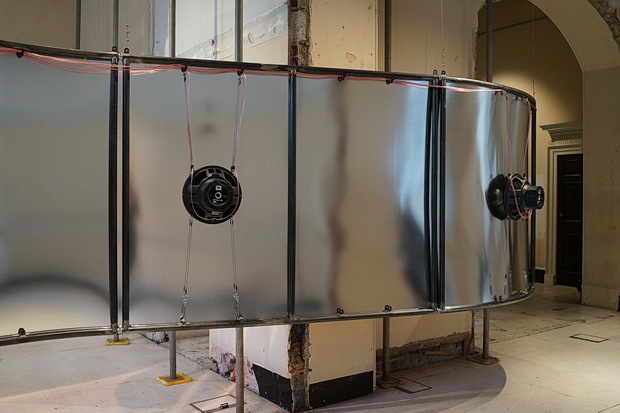 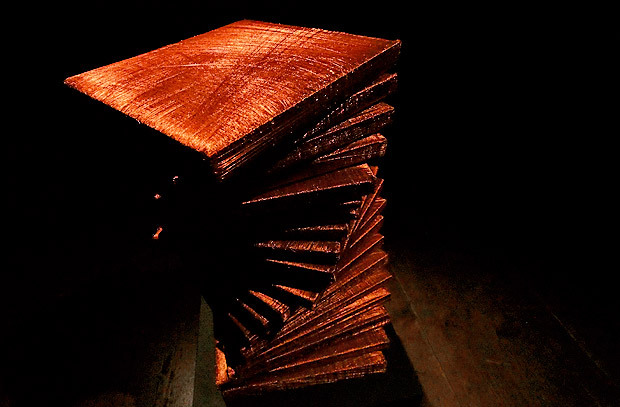 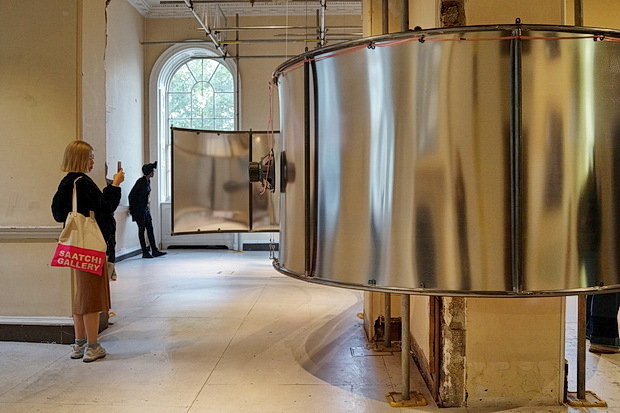 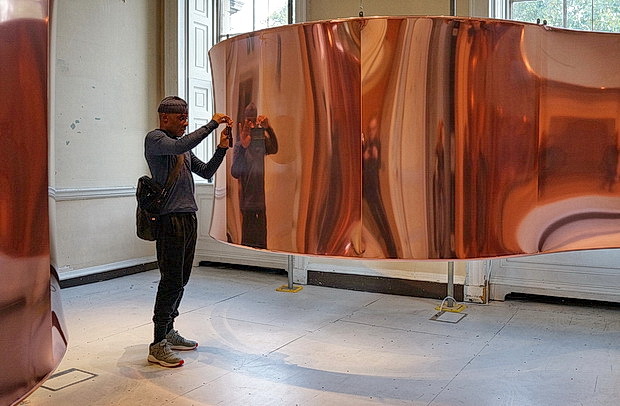 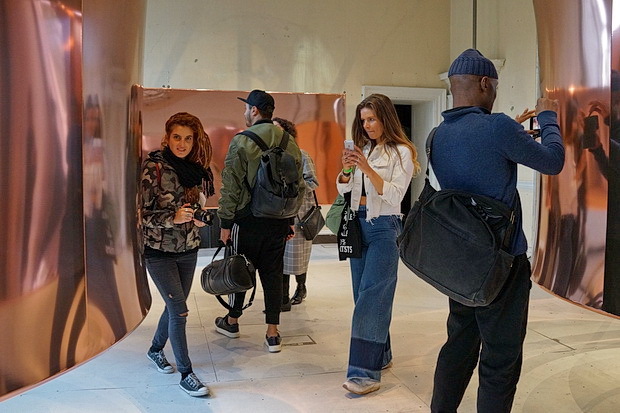 This work is entitled Rage Fluids, a pulsating audio sculpture incorporating stretched car body wrap and subwoofer speakers, with the deep bass notes creating distorted waves upon the mirrored surface of the sculpture. 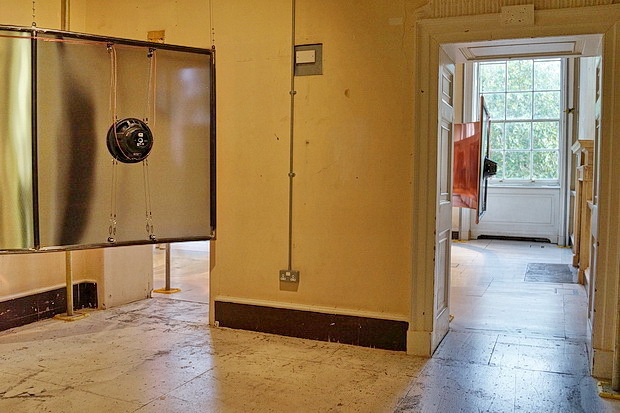 Here’s some photos from my visit – admission is free.